Freedom Oaks unique layout is both a challenge for the experienced golfer and a pleasurable walk for the beginner. Be prepared to use all of the clubs in your bag, with the Lake Erie breeze being a factor on every hole. Our signature hole is the 8th, a par 3 island green that will require pinpoint accuracy. Our longest hole is the 16th, stretching 559 yards to a downward sloping green. 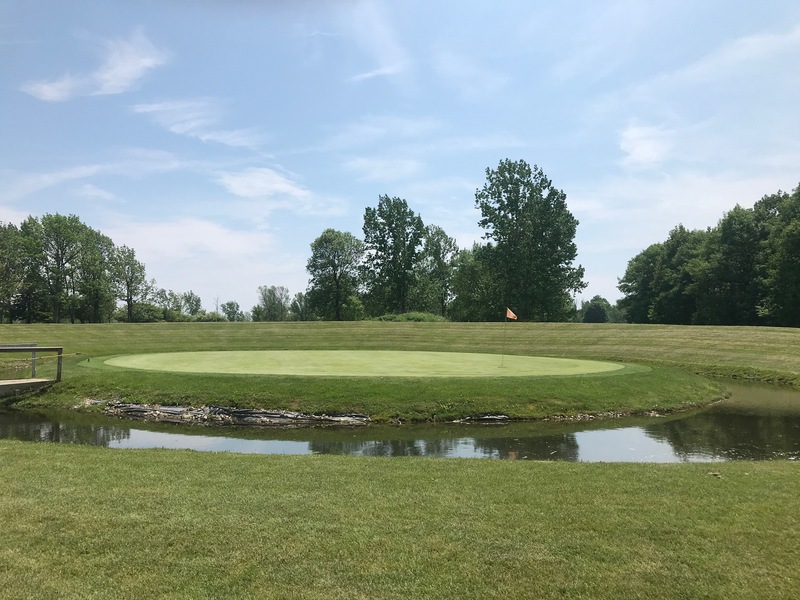 One of the most picturesque holes in the entire region is the 15th surrounded by majestic white pines and a perilous pond in front of the green. There are no Gimmie Golf packages available for Freedom Oaks Golf Club at this time. Click here to sign up and get notifications when these packages become available. There are no discount green fees available for Freedom Oaks Golf Club at this time. Click here to sign up and get notifications when these packages become available.